A compelling, even though cautiously directed, story of a tragic couple of lives. Eddie Redmayne, who plays Einar and Lili, is excellent. But the standout performance in THE DANISH GIRL is Swedish actress, Alicia Vikander (Ex Machina), who plays Einar/Lili’s wife. While Redmayne is certainly brilliant, Vikander is even better. 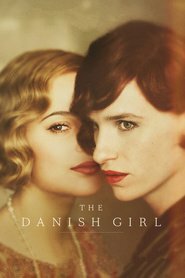 THE DANISH GIRL is worth seeing if only for these two lead stars acting. The social significance of this story is that it conveys the incredible suffering of transgendered people along with the ignorance and misunderstanding that many of them must suffer even in contemporary society. A tasteful, moving story.